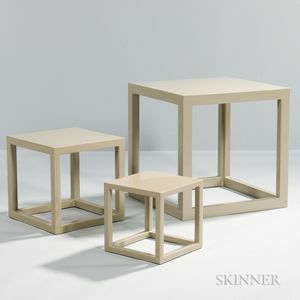 Each with square top on open cube-shape framework, Jonathan Adler label, some scuffs, ht. 18, 12, 9 1/4, wd. 18 12, 9 1/4, dp. 18, 12, 9 1/4 in.